Sat., April 13, 2019, 12:32 p.m.
SPOKANE – With an increasing number of forest fires scorching portions of Washington each year, the Legislature is considering a proposal to create a fund dedicated to preventing and battling wildfires. The state’s insurance industry pushed back on the proposal, saying it amounted to a 20% tax increase that unfairly targeted insurers. The money would come from raising the tax on premiums for property and casualty insurance from 2% to 2.52%. Franz said the increase would cost the average household less than $2 per month. Washington needs dedicated funds for wildfire suppression and to restore the health of diseased and dying forests, Franz told the Senate Ways and Means Committee, which held a hearing on the bill Monday. 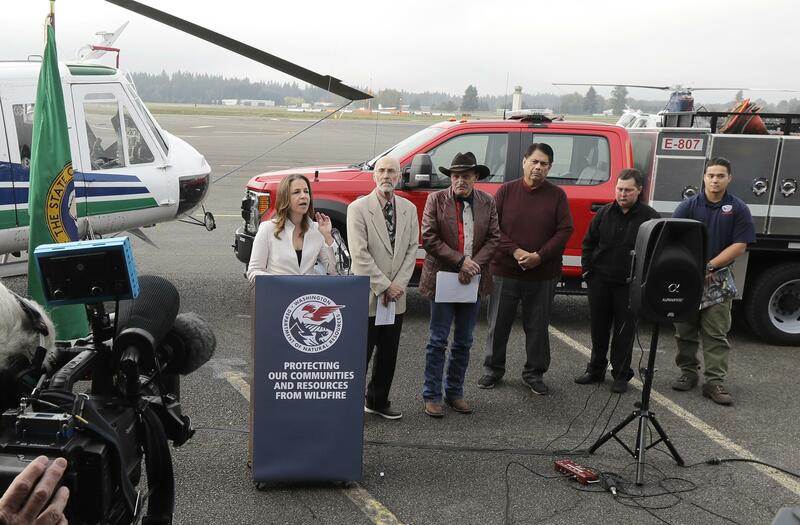 The proposal is supported by the Washington Public Employees Association, which represents wildland firefighters, spokesman Seamus Petrie said. “This will enable the department to increase training,” Petrie said. Franz told the committee that in the past decade the wildfire season in Washington has increased from three months to nine months, and the state was seeing bigger and more destructive fires. “No one is safe from it,” she said. Published: April 13, 2019, 12:32 p.m.